The Tamil Nadu government had ordered the pollution board to seal and "permanently" close the copper plant following protests over pollution concerns. 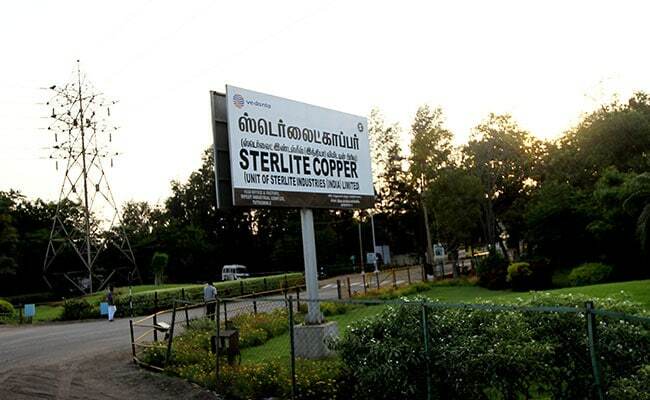 The National Green Tribunal (NGT) has sought a response from the Tamil Nadu government and the State Pollution Control Board on a plea moved by metals and mining giant Vedanta Ltd challenging the state government's order to permanently close the Sterlite copper plant at Tuticorin. A bench headed by Acting NGT Chairperson Justice Jawad Rahim issued notices to the state government and the pollution board while seeking their responses before July 18. The green panel also permitted the state govt to file a statement questioning the maintainability of Vedanta's plea. The Tamil Nadu government had ordered the pollution board to seal and "permanently" close the group's copper plant following violent protests over pollution concerns. In April, the Tamil Nadu pollution control board rejected Sterlite's plea to renew the Consent To Operate, saying the company did not comply with the stipulated conditions, following which the government issued a permanent closure order on May 28. The plea has sought permission to operate the unit and also a direction to declare as unlawful and illegal, the exercise of powers by the Tamil Nadu government in passing the order dated May 28 purporting to exercise powers under section 18(1)(b) of the Water Act.